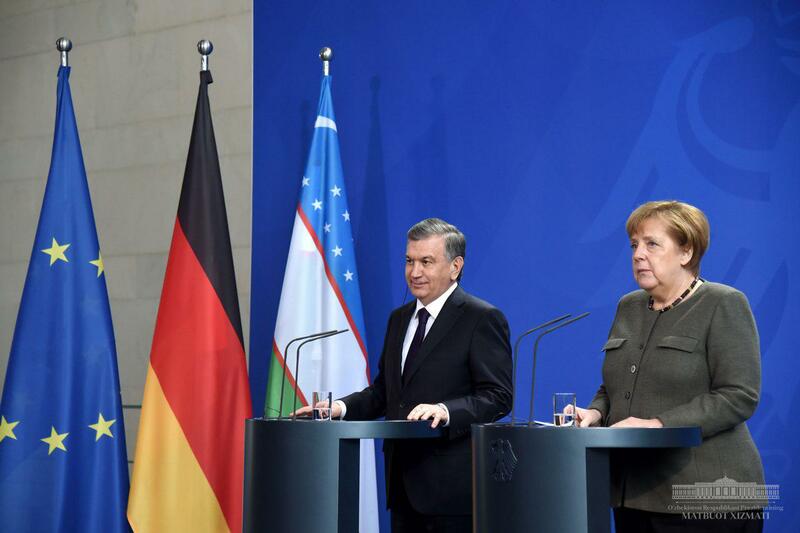 Before the start of talks between President of Uzbekistan Shavkat Mirziyoyev and German Chancellor Angela Merkel, a briefing was held for representatives of the media. 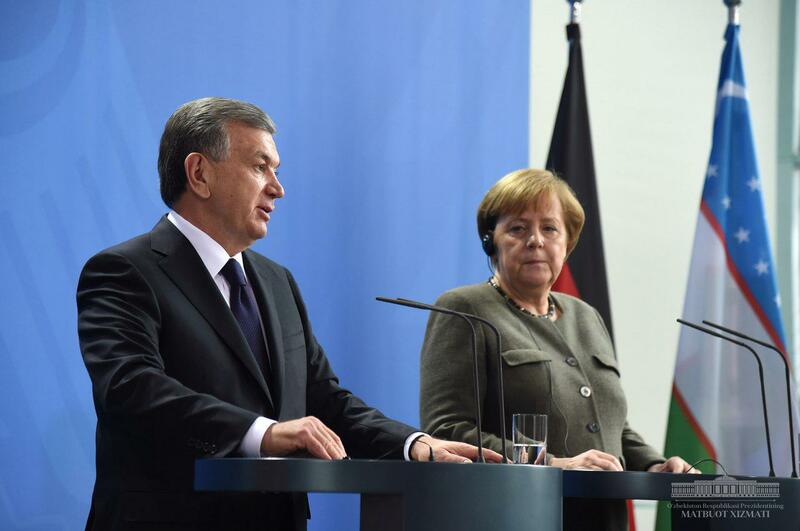 Angela Merkel noted that after a long break, the Uzbek President’s current visit is important, it will give a powerful impetus to the development of bilateral cooperation. “We want to be a reliable partner of Uzbekistan. 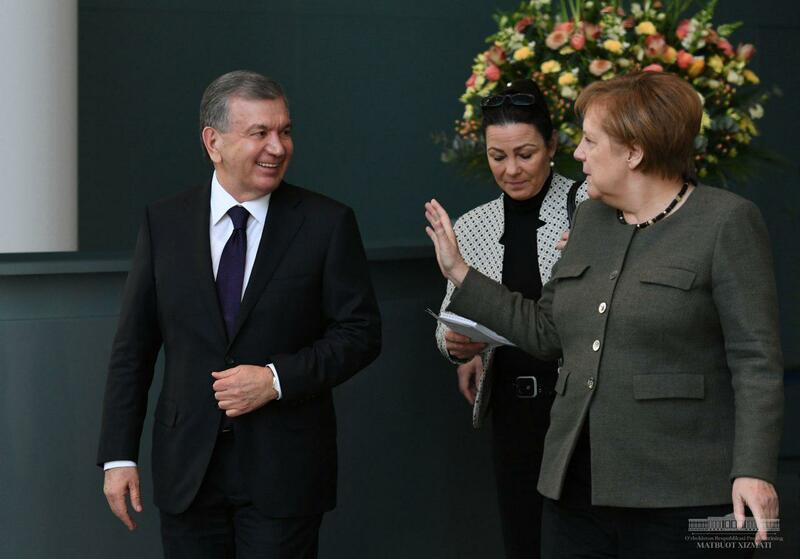 We see many opportunities for expanding ties between our countries,” the German Chancellor said. The sides expressed satisfaction with the rapidly developing bilateral relations in recent years by enriching them with a new content and intensifying the political dialogue. The President particularly emphasized that the country intends to bring relations with Germany to a qualitatively new and higher level. The negotiation agenda includes prospects for interaction in the fields of politics and security, trade, technology and innovation, investment, education and culture. Interest was noted in further adjacent cooperation within the framework of the United Nations Organization, the Organization for Security and Cooperation in Europe and other international structures. It was emphasized that the new Strategy of the EU for Central Asia will strengthen bilateral ties. 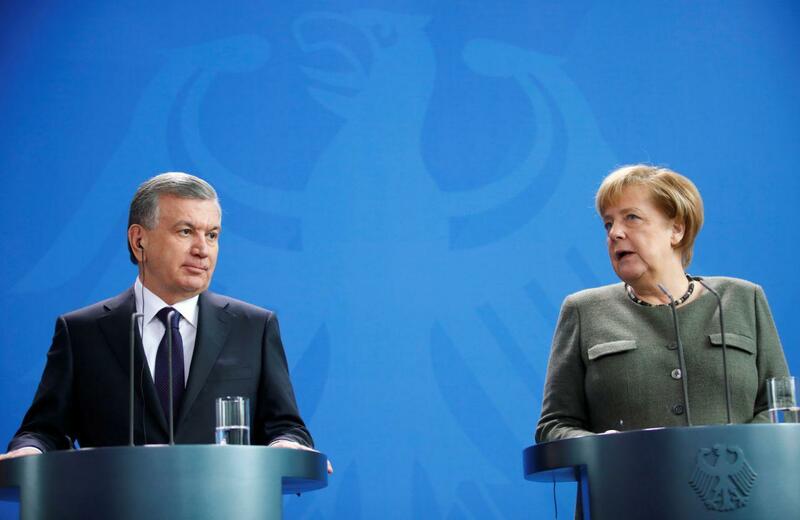 Additionally, it was announced that at the meeting of the President of Uzbekistan and the German Chancellor, special attention will be paid for enhancing cooperation in combating modern challenges and threats, primarily such as terrorism and extremism. The key issue is the early launch of the peace process in Afghanistan. The parties expressed their willingness to expand investment and technological cooperation. Reportedly, on the eve of the visit of the President of Uzbekistan, a business forum was successfully held. Following the forum, agreements were reached on the implementation of new projects worth over € 8 billion, work continues on other agreements. Moreover, the great potential of interaction was noted in the field of secondary, vocational and higher education, expanding the network of schools with in-depth study of the German language, including the development of ties with leading German universities.